The 5 Contributions of DoThatOneThing! Pediatric cancer patients and their families face a procession of difficult challenges, even beyond the disease itself. Families are often split, with one parent at home and the other traveling to treatment with the affected child. The treatments are often painful, frightening and ultimately unsuccessful. The financial toll can be crushing, and siblings can feel lost as attention is focused on the child with cancer. Even aside from the constant specter of death, it is a life you wouldn’t wish on anyone else. Today, James’s words have been transformed into action. The DoThatOneThing Councils of Triumph Over Kid Cancer Foundation (TOKC), the organization he and his sister, Mecklin, formed to improve and lengthen the lives of children with cancer and their families, work with high school and college students to spread awareness for pediatric cancer and bring joy into the lives of pediatric cancer patients and their families. The DoThatOneThing! Council has recruited principals, teachers, and students across our communities to establish chapters in their schools to raise awareness for pediatric cancer and to bring joy to the daily lives of children with cancer. Now in high schools, middle schools, and one college with plans to expand to others, DoThatOneThing! is taking off. DoThatOneThing! Councils, run by student volunteers and their faculty advisors, have organized a number of events to spread cheer to affected families. These events occur monthly at Driscoll Children’s Hospital, MD Anderson, Texas Children’s Hospital, and the Ronald McDonald House, and include decorating patients’ hospital rooms for holidays, delivering goodie baskets, creating arts and crafts, donating books and reading to children with cancer. The DoThatOneThing! Council members even organize a Thanksgiving dinner at Driscoll Children’s Hospital. Educating the Next Generation DoThatOneThing! Councils take the time to learn about childhood cancer and the struggles faced by children and their families. For example, parents of children with cancer speak to students about first hearing the words, “your child has cancer,” and how they deal with the journey ahead. Spreading Awareness of Childhood Cancer As students learn more about pediatric cancer and understand its impact on children and their families, they share what they have learned with their peers and classmates, further spreading awareness for pediatric cancer. Chapters have done this in a variety of ways, such as distributing buttons with facts about pediatric cancer on them, or designing and distributing t-shirts with creative logos. “Students taking an interest and coming up with their own ideas – that’s what is helping TOKC to grow and educate a new generation. Increased awareness can lead to early diagnoses, which are a key to increasing survival rates,” says Gloria Ragan, mother of James Ragan and one of the driving forces behind Triumph Over Kid Cancer. Through their participation in the DoThatOneThing! Council, high school students also learn about non-profit work, how to organize and run group meetings, how to actively listen, and speak publicly. By learning these skills, today’s students are becoming better equipped to make an even bigger impact in the future on their communities and in the fight against pediatric cancer. 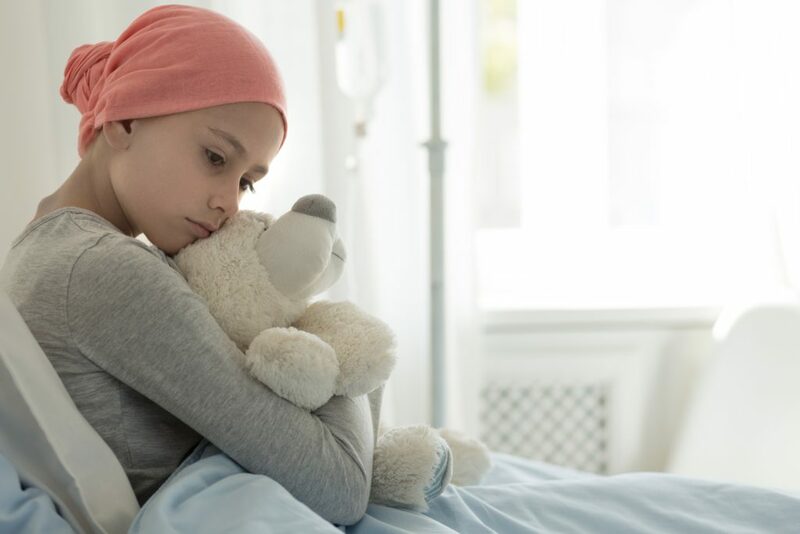 You can help Triumph Over Kid Cancer win the war against childhood cancers and save the lives of millions of children alive today and those yet to be born. Visit TriumphOverKidCancer.org for more information or to make a donation.